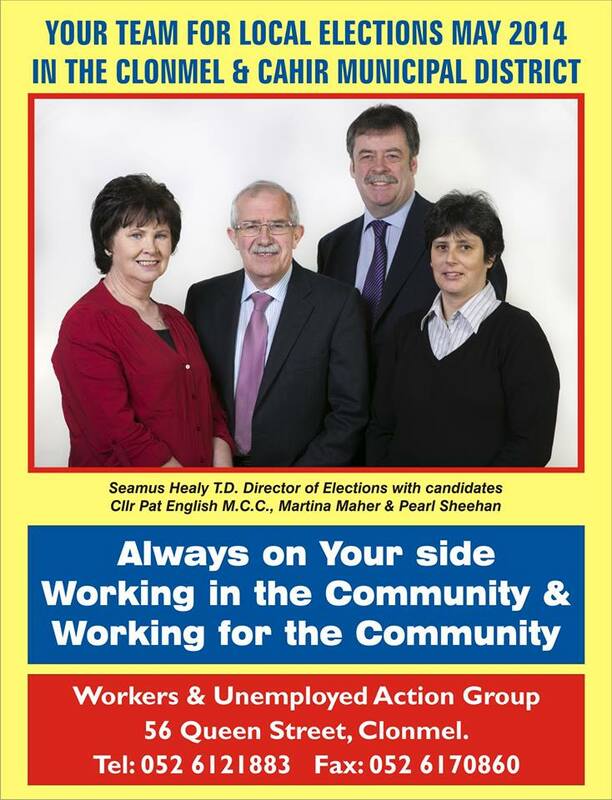 A leaflet for the forthcoming General election from Seamus Healy of The Workers and Unemployed Action Group (WUAG). 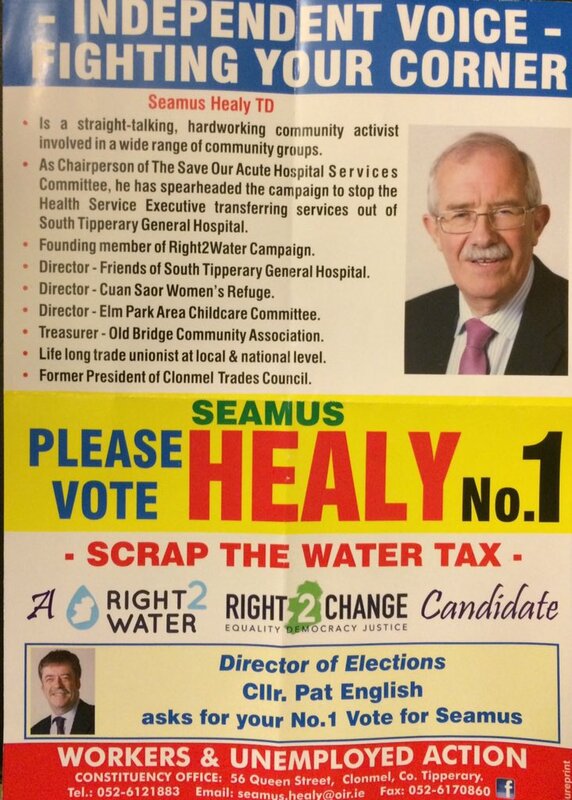 The Clonmel based WUAG was founded in 1985 and Healy has been a Councillor for the majority of the time since. 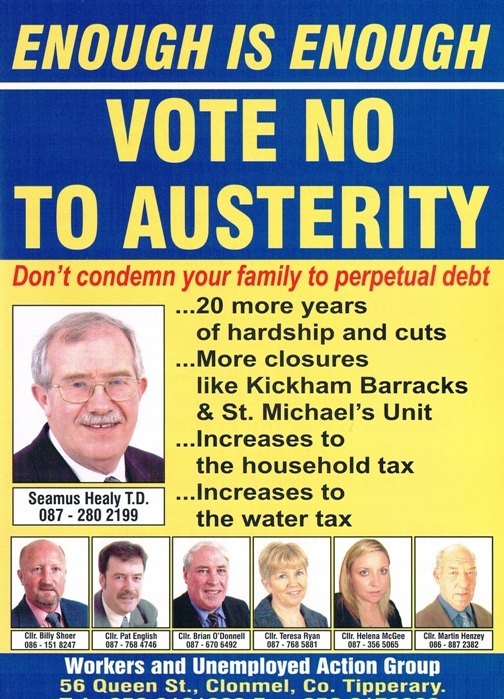 It currently has five councillors Seamus Healy, Billy Shoer ,Pat English, Brian O’Donnell and Teresa Ryan on Clonmel UDC. 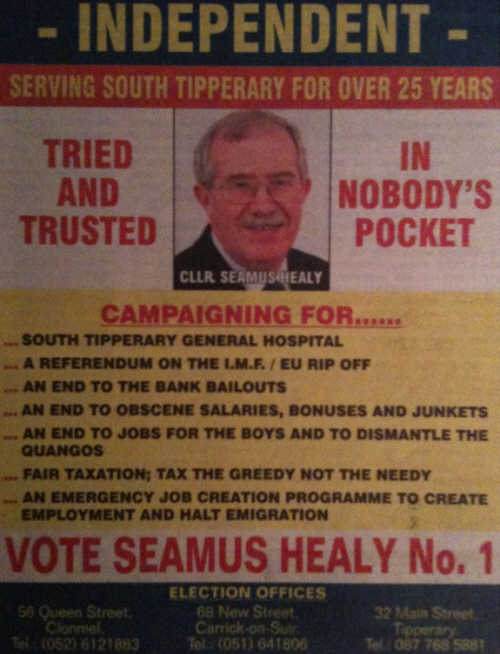 Martin Henzey was elected to Carrick on Suir Town Council in 2009. 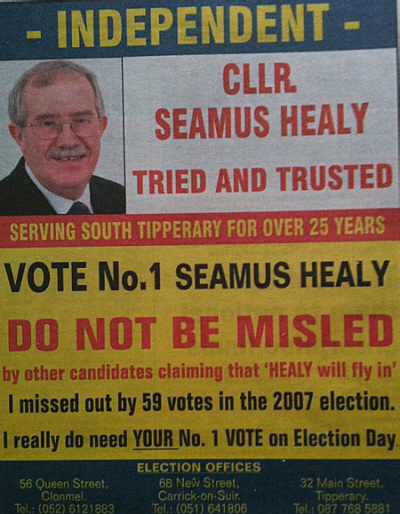 It also has two county Councillors. It is contesting the forthcoming General Election as part of the United Left Alliance. 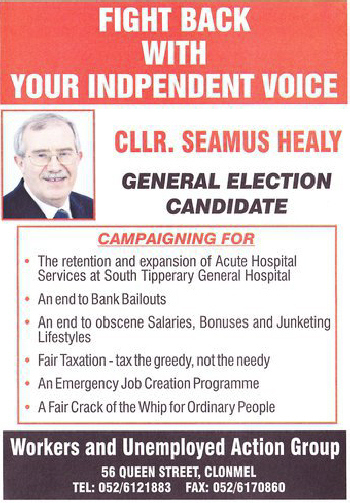 It has been to the forefront of the campaign to Save Clonmel Hospital. Apologies for the size of the print.